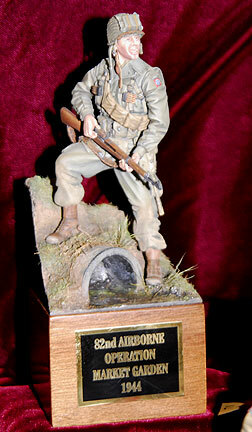 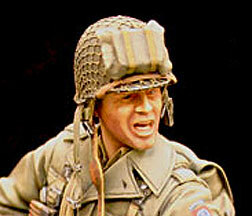 The Series 77 American Soldier Award is presented to modelers for depictions of the American military man. 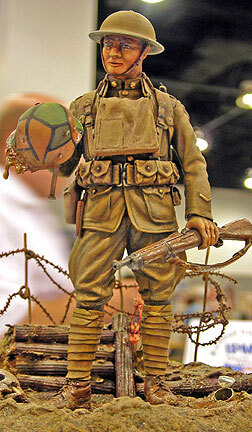 The model can be by any manufacturer. 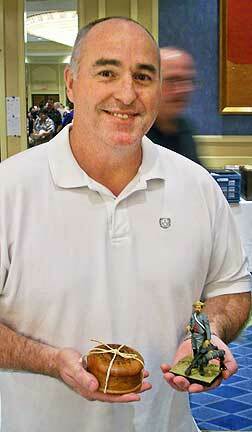 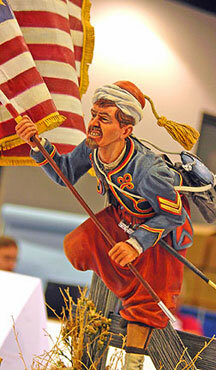 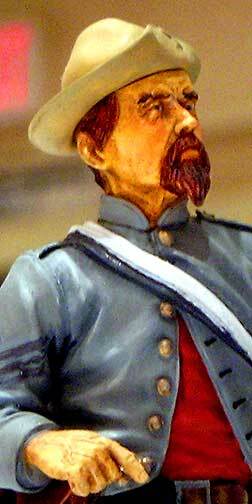 The obvious winner during the annual IPMS "Nats" was John Keaveney's immaculately painted Confederate sergeant of the 3rd Texas Cavalry, a figure by Jaguar. 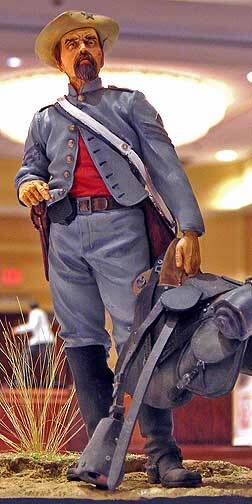 The weary soldier, holding his saddle, seems to be looking away, away down south in Dixie. 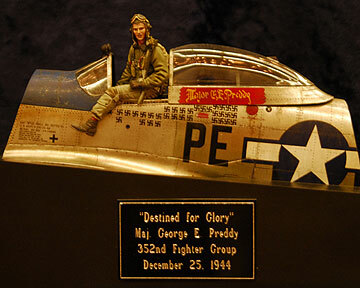 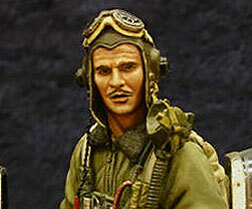 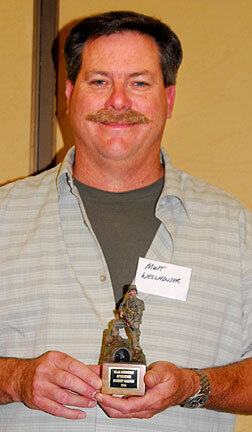 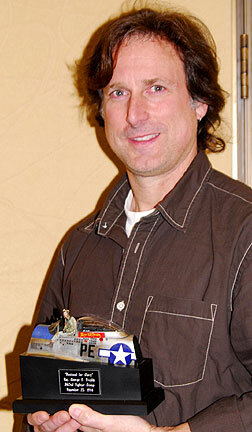 Thanks to help from the legendary Terry Worster, the American Soldier Award went to John Rosengrant's scratchbuilt "George Preddy" fighter pilot figure and Matt Wellhouser's "82nd Airborne" soldier. 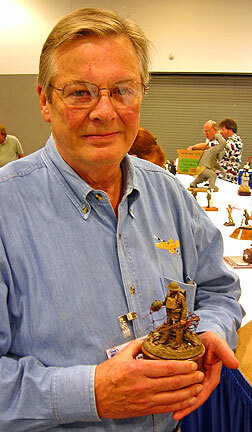 Terry reports that the show gets better every year. 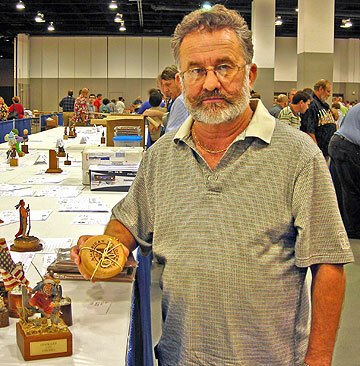 Kansas City IPMS Nationals 2006: Stephen Moore's kitbashed Civil War zouvre had a nice feeling of emotion and movement, while Noel Lawson's Series 77 Doughboy has an elegaic sense of the bitter fighting on the Western Front.